The first thing you will need to do is download the Bloom plugin. 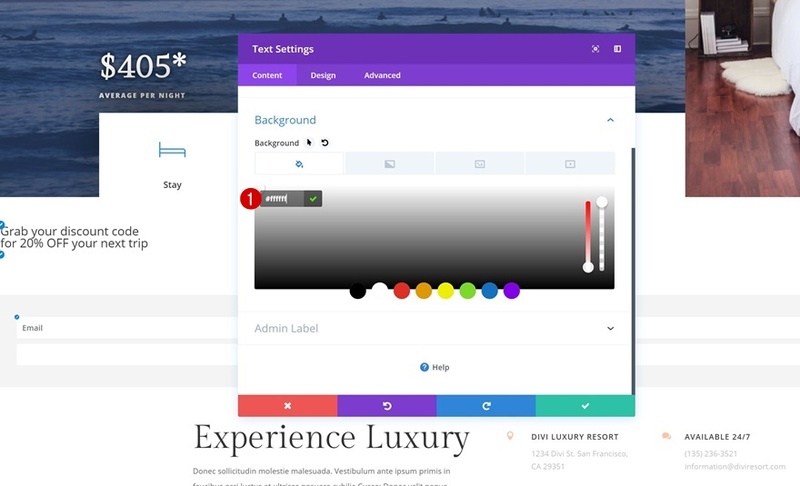 If you’re already an Elegant Themes member, you can find the plugin by going to the members area. There, you’ll be able to download the zipped file. 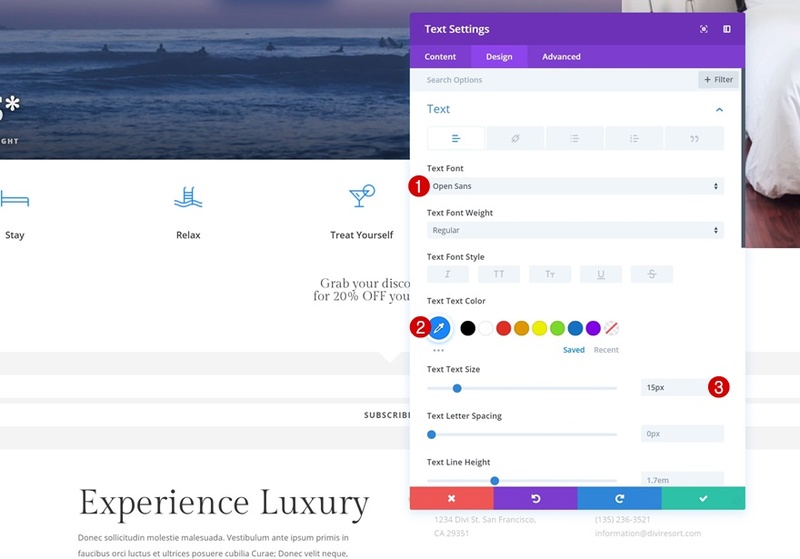 If you’re not an Elegant Themes member yet, you’ll need to purchase a membership first. Once you’ve downloaded Bloom, you can go ahead and upload it to your WordPress website by going to Plugins > Add New and clicking on ‘Upload Plugin’ at the top of the page. Then, upload the zipped file and click on ‘Install Now’. Don’t forget to activate the plugin once it’s uploaded as well. 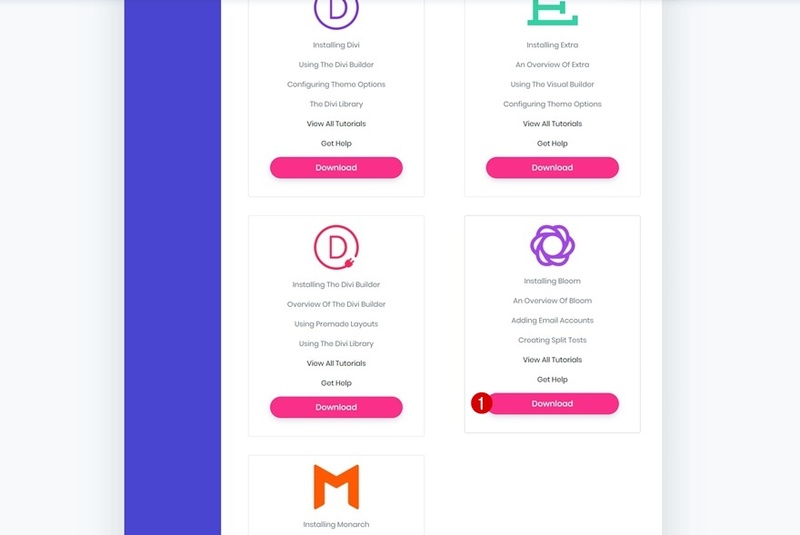 We can now start creating the locked content form which we’ll, later on this post, use in our Divi design! 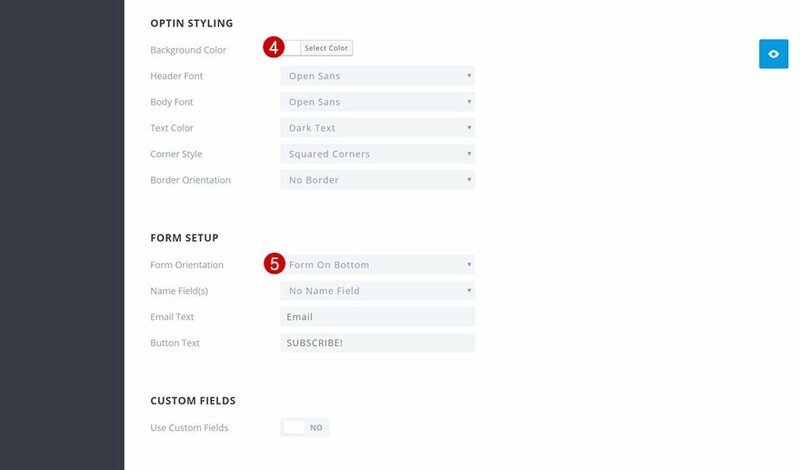 Go to your WordPress Dashboard > Bloom > Optin Forms and create a new optin form. 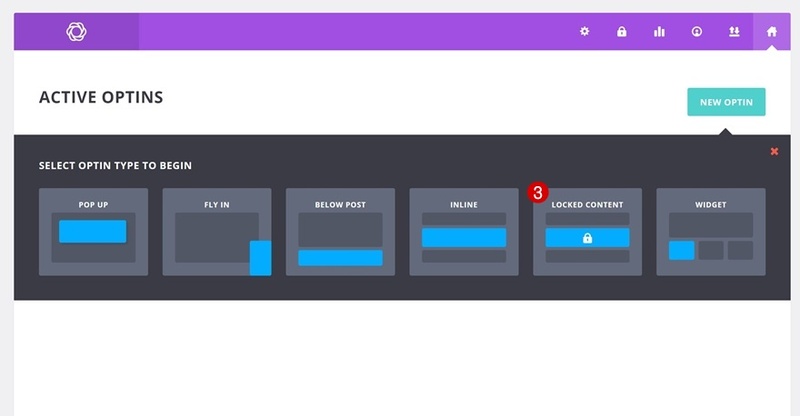 Continue by selecting the ‘Locked Content’ optin type and proceed to the setup settings. 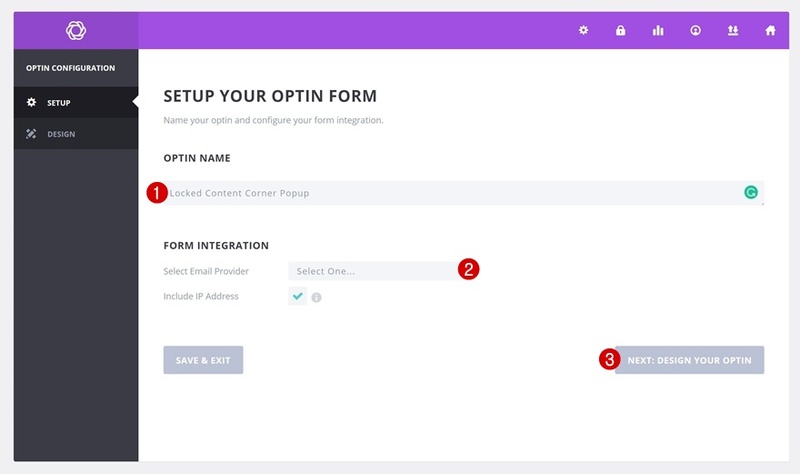 Once you’re in the setup settings, you will need to give your new optin form a name. 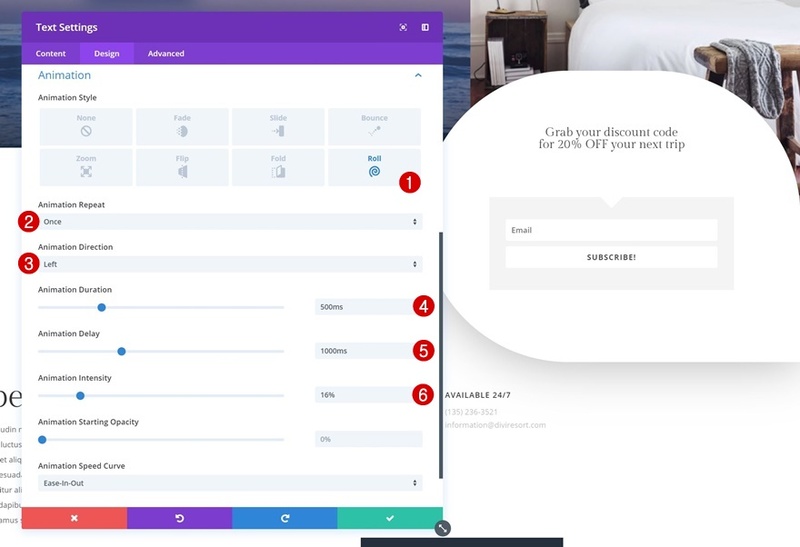 You’ll also need to select an email provider of your choice and enter the authentication details. The next step is designing the form. Later on the post, we’re going to use the optin form shortcode in a Text Module which we’ll style, so we don’t need too many settings being applied to the optin form itself. 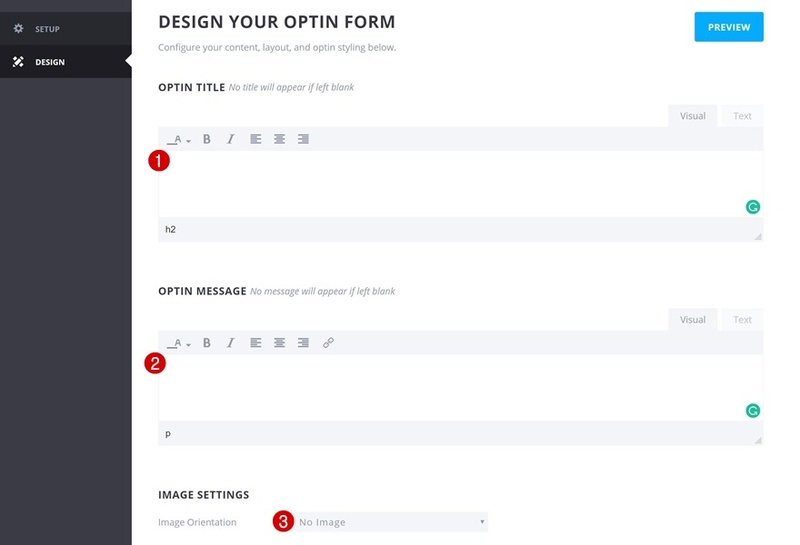 Make sure you leave the optin title and optin message content boxes empty. Change the image orientation as well. 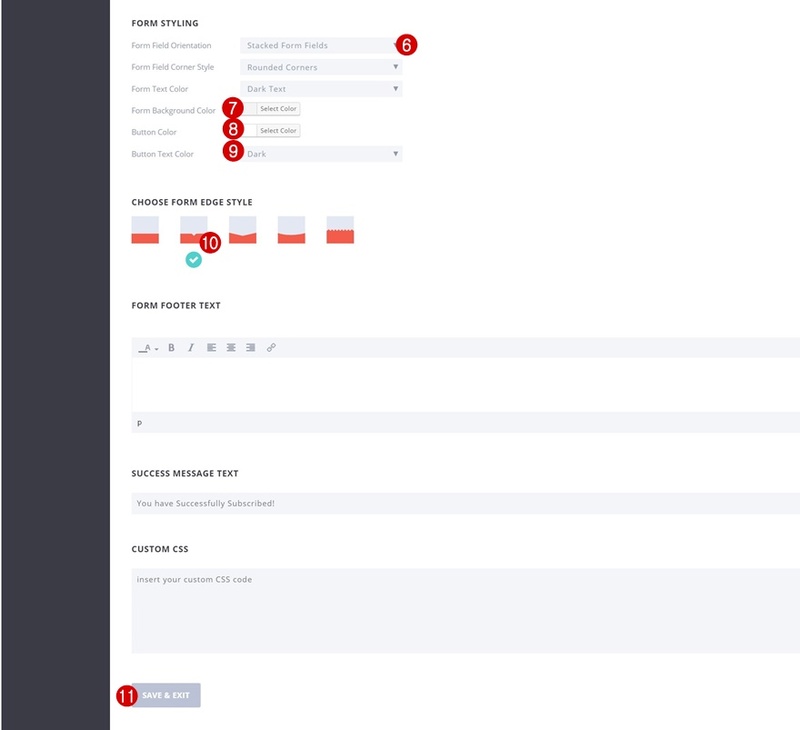 Scroll down the page and make some additional changes to the optin styling and form setup. 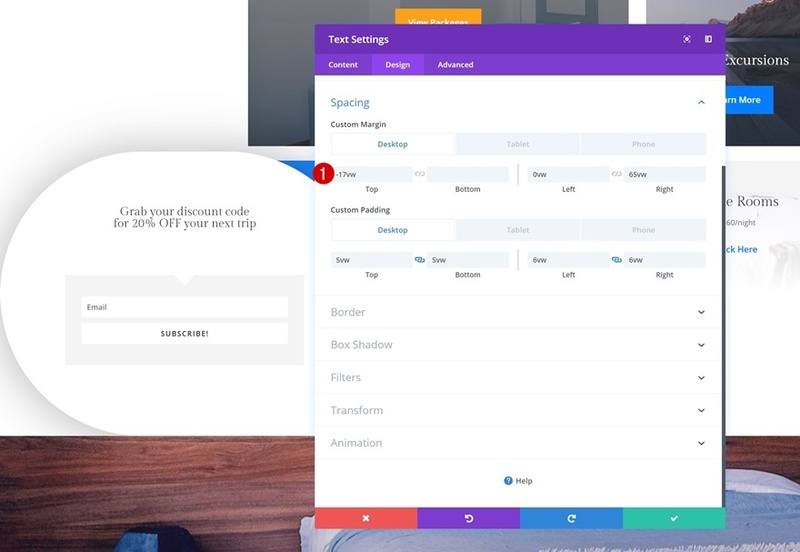 We’re also changing around the form styling settings. 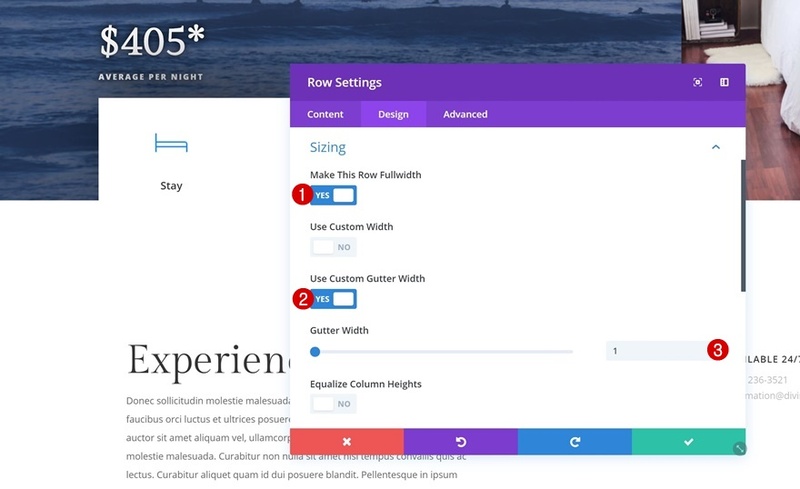 Go to the spacing settings next and add ‘0px’ to the top and bottom padding of the row. This will limit the space that is being taken up by the new row we’ve added. The only module we need to create the locked content corner popup is a Text Module. Add an H3 title of your choice to the content box. Then, go back to the Bloom plugin and copy the shortcode of the optin form you’ve created in the previous part of this tutorial. Add whatever content you want to appear after people fill out the optin form. 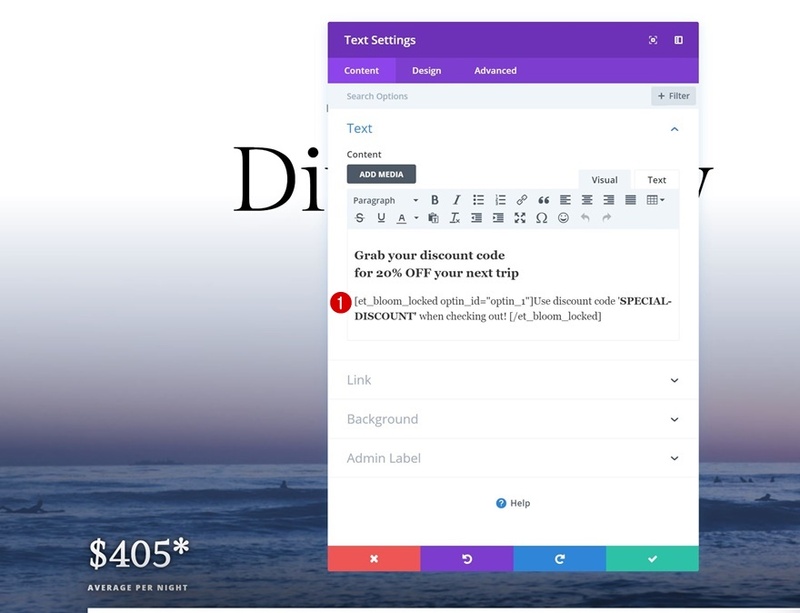 In the example below, you can notice that we’re sharing a coupon code, but you can share any kind of information you want. Go to the background settings of the module next and add a completely white background color. Change the font that’s being used for your H3 copy too. And to give the module a shape, we’re going to add some custom margin and padding values. 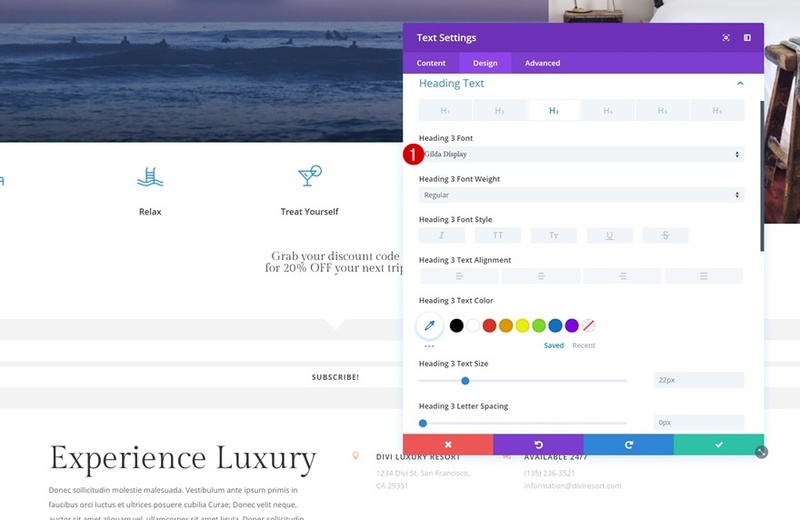 We’re also modifying all of these values to make the design match whatever screen size your visitors are using. Continue by going to the border settings of the Text Module and add ‘500vw’ to each one of the corners, except for the bottom right one. 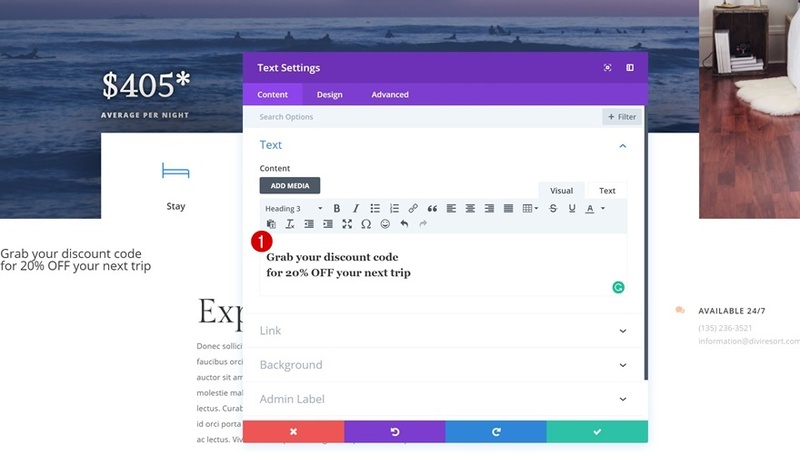 Add a box shadow next to make the Text Module pop. 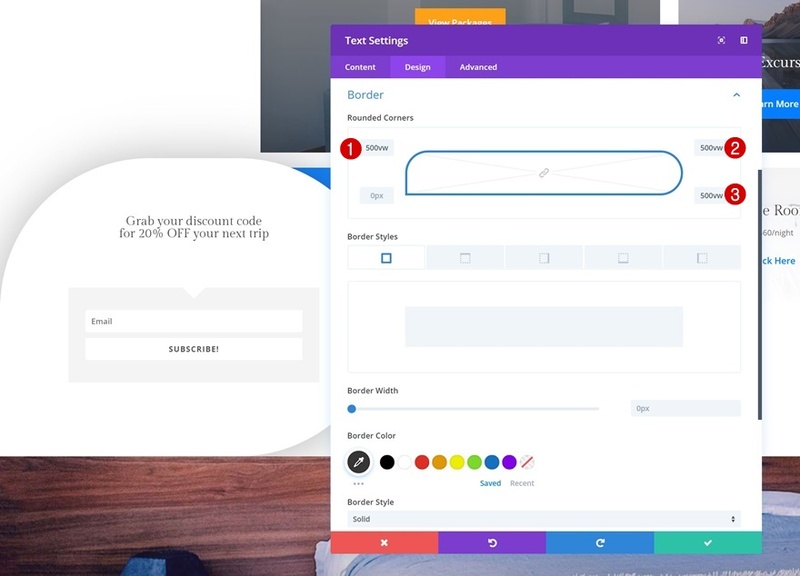 Lastly, we’re also adding an animation that goes from right to left to create the popup effect. 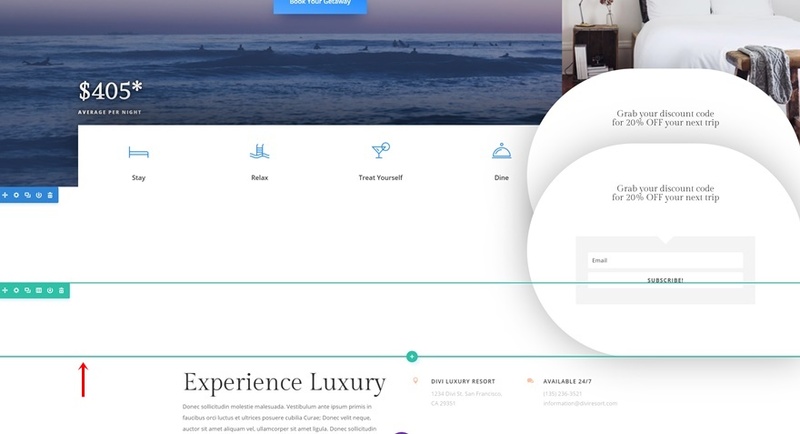 Once you’re done creating the first locked content corner popup, you can go ahead and clone the entire row. 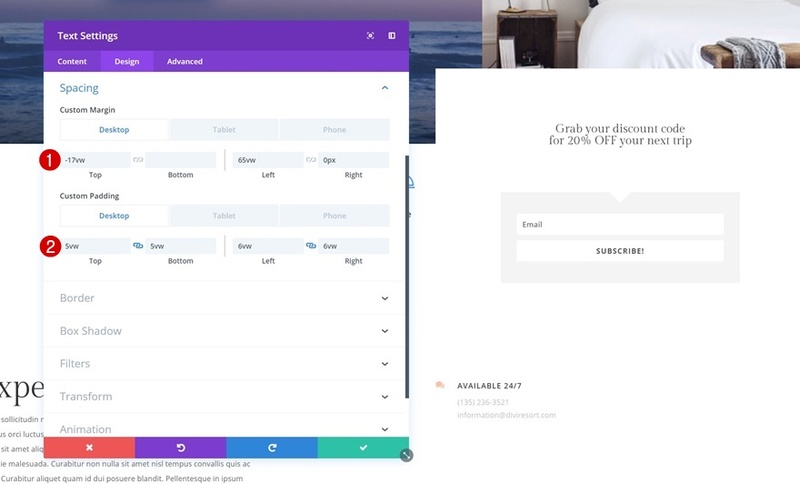 Remove the bottom padding of the section you’ve placed the row in. 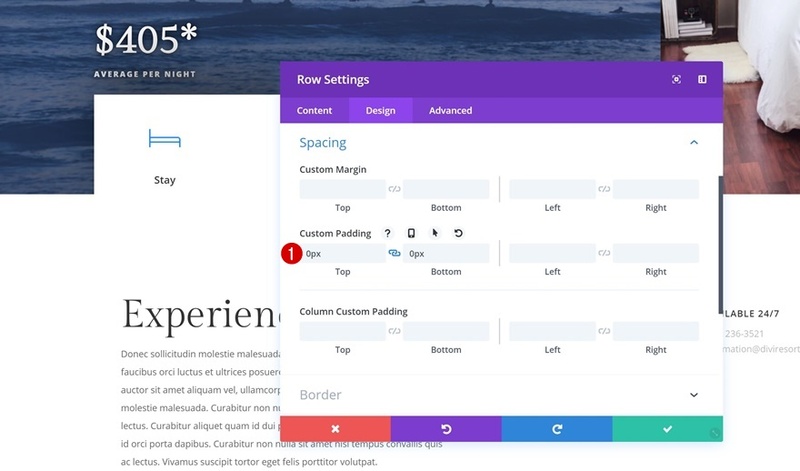 Then, open the Text Module’s settings and change the custom margin values. Make sure you change the rounded corners too. We’re using ‘500vw’ for each one of the corners except for the bottom left one. Last but not least, change the animation direction to right and you’re done! Now that we’ve gone through all the steps, let’s take a final look at the outcome across different screen sizes! 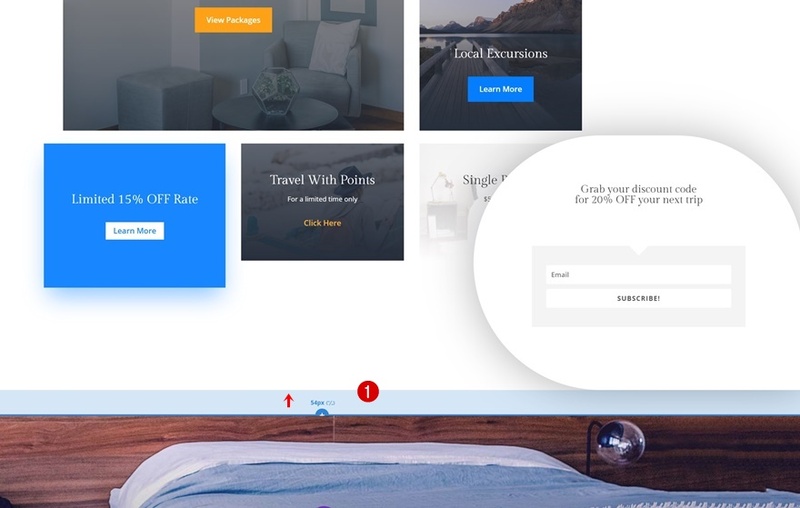 In this post, we’ve shown you how to create locked content corner popups with Divi, the Bloom plugin and the Resort Layout Pack. 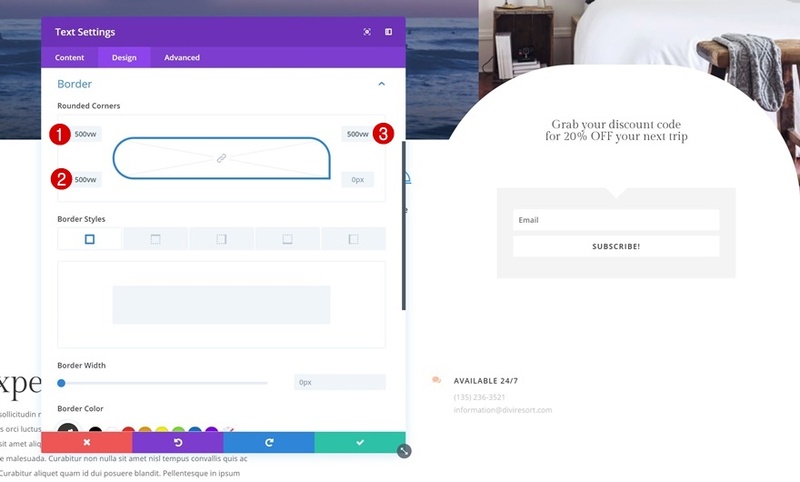 You can use this technique to convince people to become part of your email list by offering a coupon code which appears once they’ve filled out the form. 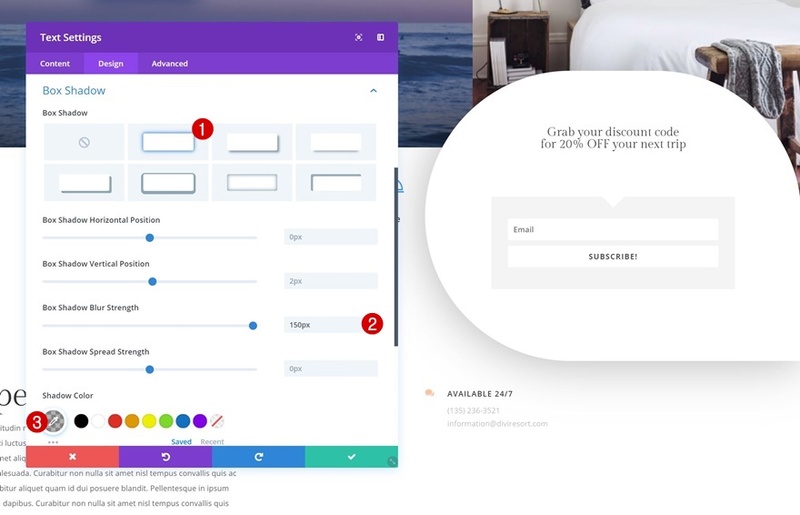 This tutorial is part of our ongoing Divi design initiative, where we try to put something extra into your design toolbox each and every week. If you have any questions or suggestions, make sure you leave a comment in the comment section below! 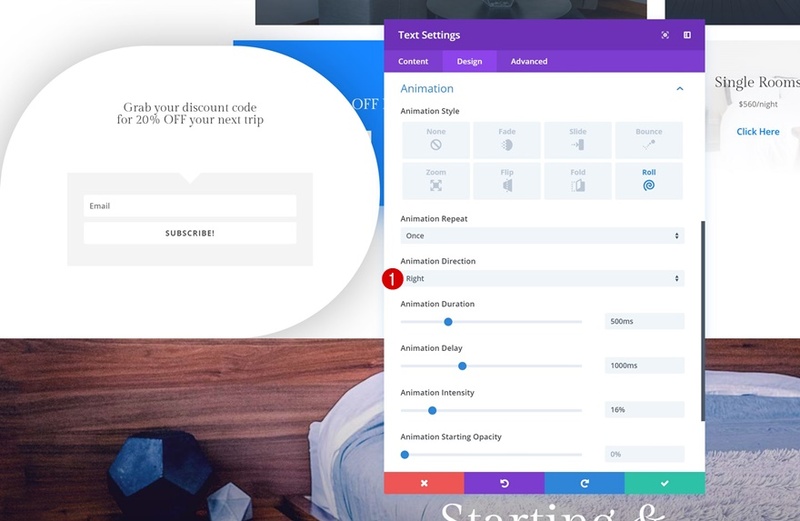 The post How to Create Locked Content Corner Popups with Divi appeared first on Elegant Themes Blog.